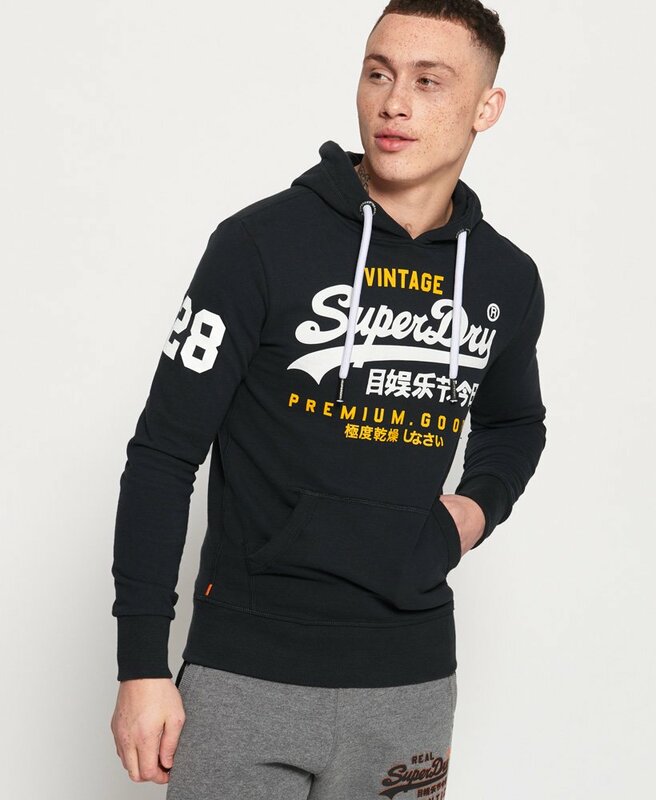 Superdry men's Premium Goods duo lite hoodie. This lightweight hoodie features a classic drawstring hood, front pouch pocket and textured logo design on the chest and sleeve. Completed with the signature orange stitch in the side seam, pair this hoodie with slim jeans and trainers for a relaxed look that's perfect for the everyday.